Deluxe gases manufacturers Body Acrylic body or glass body with aluminum encased with appropriate float as per flow and gas requirement. Size Standard size available is 6"-8" length with needle valve Inlet & outlet connection Back side with 1/4", 1/8",hose connection with panel mounting, table mounting stand are also available Range Any range in LPM orml/min or LPH. we also accept orders as per customers requirement . Useful for measuring any gas flowrate specially for G.C. & Analytical Instrument. 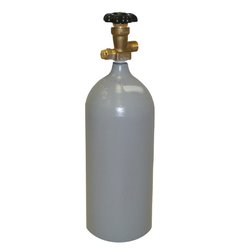 We provide Refrigeration Gases R-123 (Dichlorotrifluoroethane) which is highly pure. The refrigeration gas provides efficient cooling and widely used in air conditioning system. 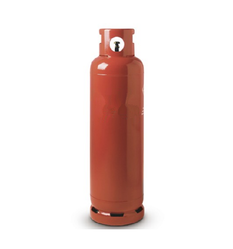 With our vast industrial expertise, we are engaged in offering superior quality in our Gas Canister with Regulator. Our offered Gas Canister with Regulator is manufactured from high-grade material in compliance with industrial quality standards. Further, these are checked by our quality experts on several industrial parameters to ensure their fine finish and durability. Available in a large collection of variety, our entire products ranges are offered at very affordable prices. Looking for Digital Gas Meter and Canister ?